Please choose between DOWNLOAD and PRINT BOOK. Want to create glowing orbs, gemstones or other cool effects? It’s easier than you think! On 48 pages and over 170 pictures you’ll get easy step-by-step guides and detailed explanations about: understanding electricity and LEDs, serial and parallel circuits, calculating resistors and battery life, learning to solder, molding and casting LED gemstones, lighting up plexiglas and acrylic spheres and of course a lot of detailed pictures, tips and examples of my own finished costumes! For printed orders: Please allow 1 week shipping time for orders to Germany and 2-4 weeks for all international orders. Sehr hilfreich und gut erklärt! 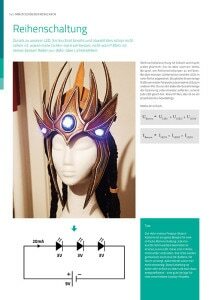 I’ve always been really scared of LEDs from bad past experiences, but after reading through with this, I’ve become less scared and looking forward to incorporating more LEDs into my just cosplays, but making more elaborate cosplays with LEDs! So much love and much recommendation. I got this book ’cause I wanted to use LEDs on my Gunplas. Now I want to cosplay as well. Great learning. 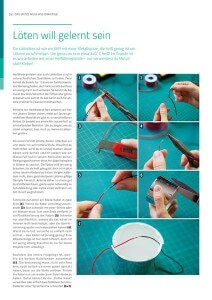 Very Handy initial intro to using LEDs. Love that there are also YouTube videos that can give you a real life end result example so you can compare how your own works out to that of the Pros. Being an electrical engineer, I already know this stuff. 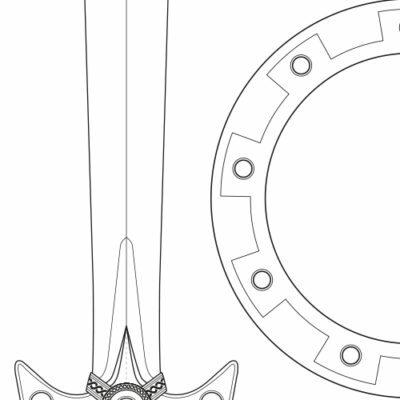 Being a closet cosplay/prop designer, it is awesome to have all this data, knowledge, and work crammed into 49 pages. Excellent work, Svetlana, and I am happy to support your efforts. Amazing book! 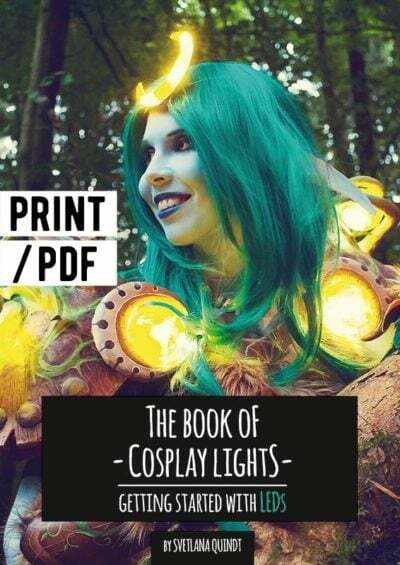 There is nothign similar available on the cosplay book market as far as I know. 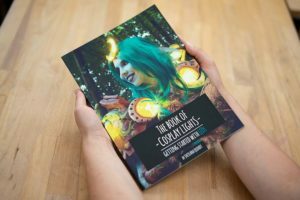 Without this book I would have never been able to light up my first cosplay projects. I know zero about connecting wires and such. This book was like gold to me! Written so that anyone can understand it! 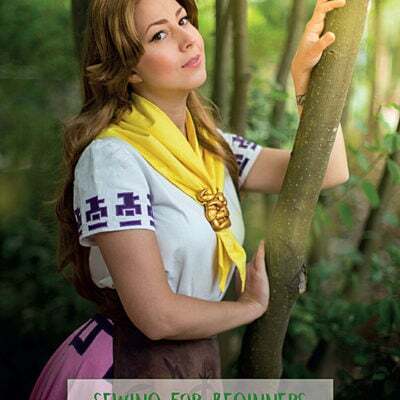 It’s a must have reference for any cosplayer! Intimidating at first but read through the book a second time and LEDs don’t seem so scary now! Super simplified and useful. 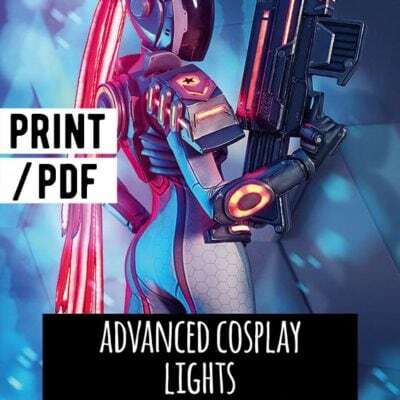 I can’t wait to start working with leds keep these books coming. It’s the first book I upload because I am very interesting in Led’s work ! And this book is very detailed, also the presentation ! Like your work : very beautiful ! I think, later, I buy your three others book for support you ! Because I am in France, I can see you in the conventions where you go, sadly ! But I follow your work and I am always impressed ! I am so excited to use this book. You’re amazing!! Fabulous book! I can’t wait to integrate LEDs into my next WoW cosplay. Thanks, Svetlana!! !